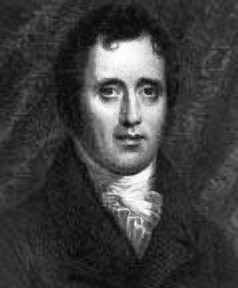 The American politician Daniel D. Tompkins was born at Scarsdale, Westchester county, New York, on the 21st of June 1774. He graduated at Columbia College in 1795, and was admitted to the bar in 1797. In 1801 he was elected to the state constitutional convention, in 1803 was a member of the state assembly, and in 1804 was elected to the national House of Representatives, but became a judge of the state supreme court, and served as such until 1807. He was Governor of New York in 1807-1817; and in 1817-1825, during both terms of President James Monroe, was Vice President of the United States. In March 1812, under the authority of article xviii of the New York constitution of 1777, he prorogued the legislature -- the only instance of the exercise of this power. During the War of 1812 he was active in equipping and arming the New York militia. For this purpose he borrowed much money on his personal security, and sometimes neglected to secure proper vouchers. Later the state comptroller announced a shortage of $120,000 in the military accounts, but Tompkins claimed that the state owed him $130,000. Later investigations disclosed that the state actually owed him more than $90,000. In 1821 he was president of the state constitutional convention. He died on Staten Island, New York, on the 11th of June 1825.